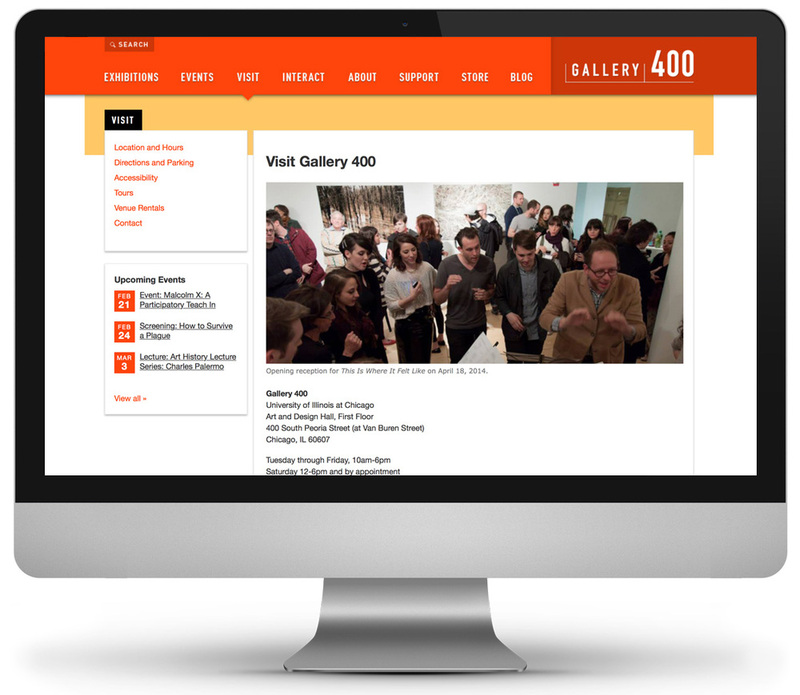 At Neoteric we worked with Gallery 400 at the University of Chicago-Illinois to revamp their website in 2011. I was responsible for information architecture, content strategy, visual design, and front-end development. 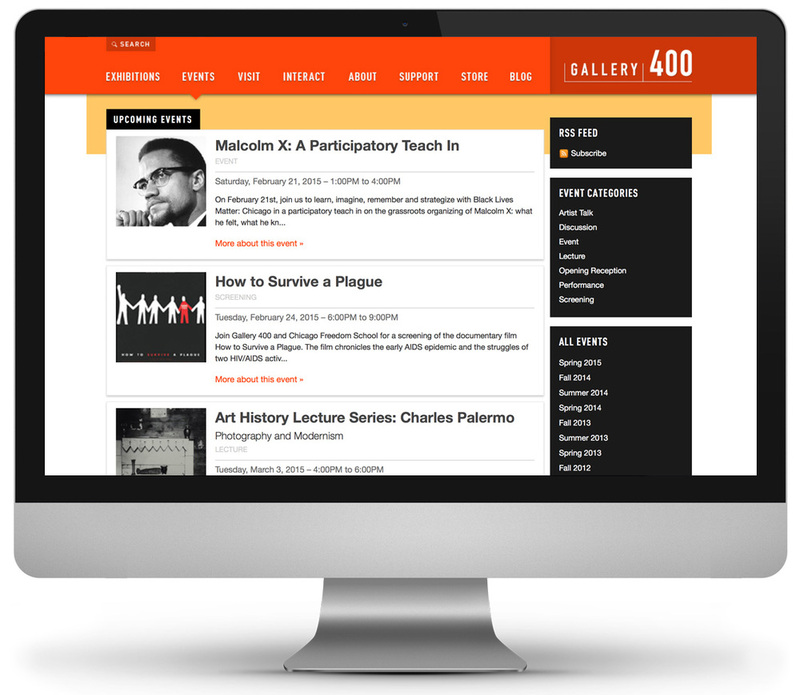 The site included exhibitions (past, current and future), events, a blog, and a store. The site used a custom Ruby on Rails CMS we designed in-house.